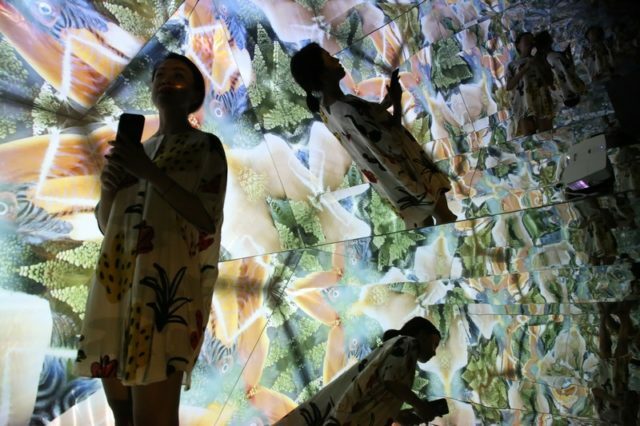 Arty Guava swapped Penang for Singapore and never looked back. Even if she's now involved with Penang-based OtherHalf Studio, she stays well put in Singapore with her family. After many years, she still has a few pet peeves about Penang... let's see what makes a local woman cringe. We already know that not all Penangites think the island has what they need to succeed. Some go far, to Australia, and others a bit closer. 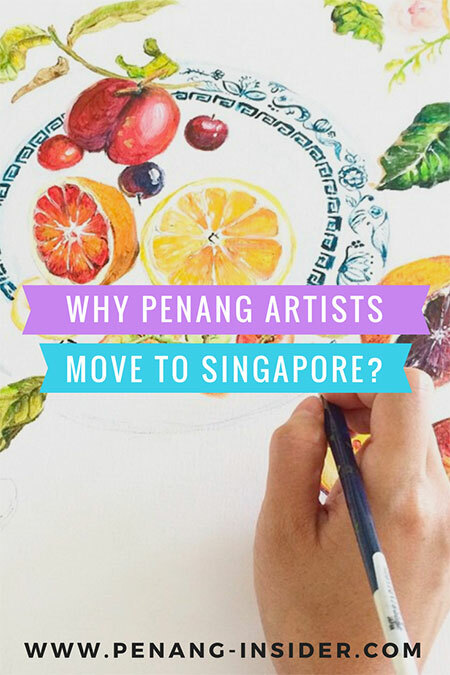 This time, we want to explore why Penangites move to Singapore. 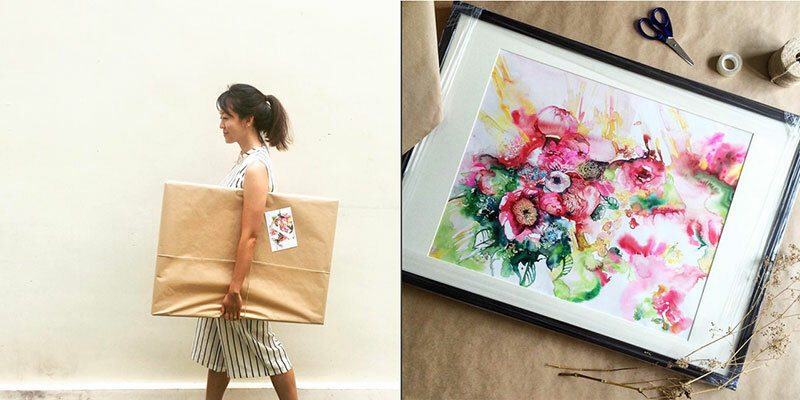 We have asked visual artist Arty Guava (of course, not her real name) from Penang-based collective OtherHalf to get into the nitty-gritty of how and why she moved away, and especially, why she has never looked back. Please tell briefly about you, Otherhalf! and what you do at the moment. 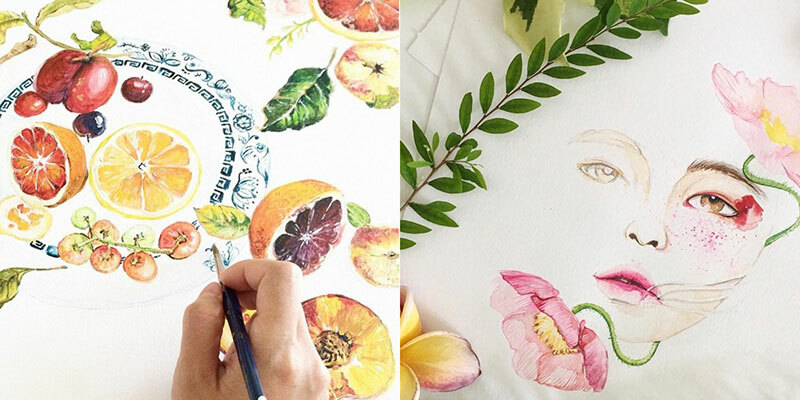 I was born and bred in Penang and I go by the artist pseudonym, Arty Guava. Quite self-explanatory, the two loves of my life are art and guava. A little-known fact about me is that I have a degree in Bioengineering… I thought I would look quite good in lab coat. After a year of “bioengineering’ work, I made the leap of faith and switched careers to become a graphic designer and have never looked back since. In recent years, I mostly freelance as a design consultant for international branding/advertising agencies such as Ogilvy, FutureBrand, NiCE and WhyBrand to name a few. OtherHalf happened purely by chance over the phone with an old high-school friend, Sumay. She asked if I would like to work with her to put up a self-exhibit of our art and photography works and I didn’t think twice to say YES. Little did I know what the future holds for us. You left Penang for Singapore – one of the most prized destinations for Malaysians. When was that, and why? As you might have guessed, I moved to Singapore when I pursued my undergraduate degree in Bioengineering at the National University of Singapore. That was back in 2005. NUS’s engineering faculty was ranked among the best in Asia. It was a very specialised course that wasn’t offered in Malaysia much less in Penang. Although I would have preferred to study something more related to Arts and Design, I trusted my parents to know what was best for me, being a very sheltered and impressionable 18-year-old. After graduation, I did not think to move back to Penang. I had to serve my 3-year bond with the Singapore government for my education grant. To be honest, after spending 4 years of my young independent adult life in Singapore, I was quite rooted. My then boyfriend (now husband) and my social circles were mostly based in Singapore. The cold-hard truth is that the economic prospects were much better for me in Singapore. What was that you didn’t like in Penang? I left when I was 18, so this is from a student’s perspective. I feel there is a lack of opportunities and incentives to retain young people in Penang or even in Malaysia. Before leaving school, many of my friends dream of the golden ticket out of Malaysia through education and eventually settling overseas. I can confidently say, more than half my ex-classmates are abroad today. Many of us struggle to even secure a single education grant or scholarship in Malaysia with near perfect results. People naturally gravitate to places with opportunities, and that was what I did as well. I moved to ‘greener pastures’. Strangely enough, work opportunities have brought me back to Penang again in full circle. I had a bit of a culture shock working with vendors in Penang. Firstly, I’m told they work based on ‘Malaysian timing’, whatever that means. Deadlines are very elastic and often missed. A little bit of a pet peeve for me. Is living in Singapore as good as most people think? Or is it just hype? I’ve been here for more than 10 years and yes, I like it here, but it has its highs and lows – like every other place in the world. It’s a well-known fact that Singapore is very efficient, clean and safe, and a good environment to raise a family. But you must at least be a middle-income household, else the cost of living will probably kill you. For the benefit of providing more of an insight into the life of a Malaysian living in Singapore, I’ll focus more on Singapore’s policy of welcoming foreign talent. I for one am grateful for that, and that’s the main reason why I’m still based in Singapore. However, in recent years there has definitely been a growing undercurrent of dissatisfaction among Singaporeans, who feel that foreigners are stealing their ‘rice bowls’ away. Sometimes, casual talk on the issue among close local friends does unintentionally make me feel a bit alienated as I still identify myself as a Malaysian, and thus a foreigner. Before I moved to Singapore, I was told that Singaporeans are snobs who look down on neighbouring Malaysians. But that couldn’t be further from the truth, in my personal experience. Many Singaporeans perceive Malaysians as less demanding, more sincere and genuine in their interactions with people. Many Singaporeans actually envy our slower pace of life. Life in Singapore is pretty fast paced and I remember how I always felt ‘hurried’ when I first came here. It’s not just about things being more efficient or moving faster: the idea of ‘you snooze, you lose’ is very prevalent here, and you always must be ahead of the game. It isn’t a type of lifestyle everyone can easily get used to. When you return to Penang, how do you think it changed? Is it for good, or not? And why? When I return to Penang, I often feel like a tourist in my own hometown. In recent years, George Town received a new breath of life with a vibrant showcase of street art, sprouting boutique art galleries, and chic cafés lining the streets. Some might argue that George Town has lost its “real” charm and that these developments have made it very artificial and contrived. Personally I embrace these changes. I’m now drawn to explore and rediscover George Town more, something that never interested me before. What do you think of Penang’s Arts? And the fact there are a lot of foreigners leading the pack? My knowledge of Penang’s Arts is limited to Hin Bus Depot and the street art in George Town. Based on my minimal exposure, I thought the works were pretty awesome. The artworks were really accessible and were nothing too deep or political, as much as I’ve observed. The fact that a lot of foreigners are leading the art movement in Penang does not really bother me. Art is a universal language. Obviously, the works that these artists produced resonated with both the locals and foreigners, otherwise art would have never gained such widespread popularity locally. I believe it’s a free for all playing field that artists use to express their creativity. However, I do hope to see more local artists step up. I’m curious about what the locals have to show or say. I often wonder is it the lack of opportunities for a local artist or the lack of interest in locals to make art, or is it society’s mindset towards art that’s holding back the local art scene? I come from a typical Asian family, and my parents initially frowned my choice to pursue art. My father once casually commented that “artists often end up on the streets”. The very idea of being an ‘artist’ is seen as unglamorous, frivolous, or something that is very self-indulgent as there is no tangible benefit society. However, my father eventually came around and saw meaning in what I do: I still remember reading one of his Facebook comments on one of my art posts that said “you really have talent girl”. It’s one very cherished memory of acceptance, something that still drives me to work harder day after day. And you, readers – especially those Penangites who moved to Singapore: do you agree with Arty Guava’s experience? Is there anything else you’d like to add? Please say it in the comments below… and don’t forget to join our newsletter if you liked what you read!